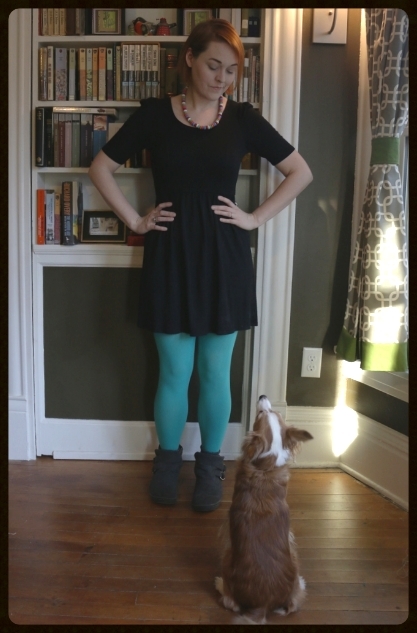 The inspiration for this article - I paired a little black dress with two pops of color: robin egg blue tights and a crayon necklace. As you can see, Buster (my trusty Chinese Crested Powderpuff) is impressed. A pop of color usually means a dash of color. 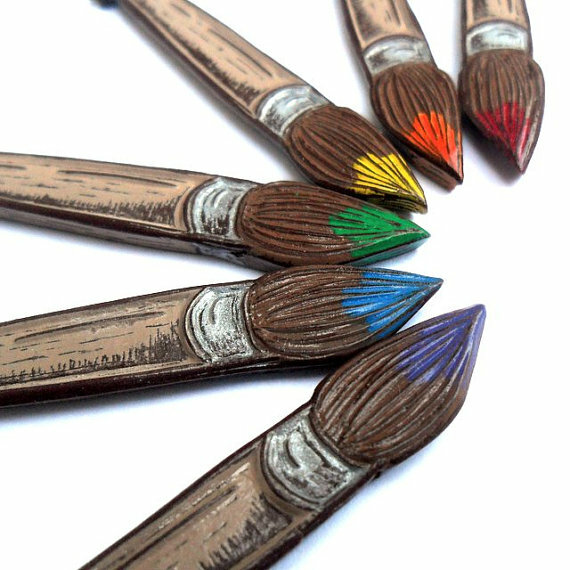 However, what if it referred to a bit of color theory or the acting of coloring? This aspect takes a pop of color to a whole new level. ROYGBIV at its best, if you will. Which is why I bring you today's curated collection. 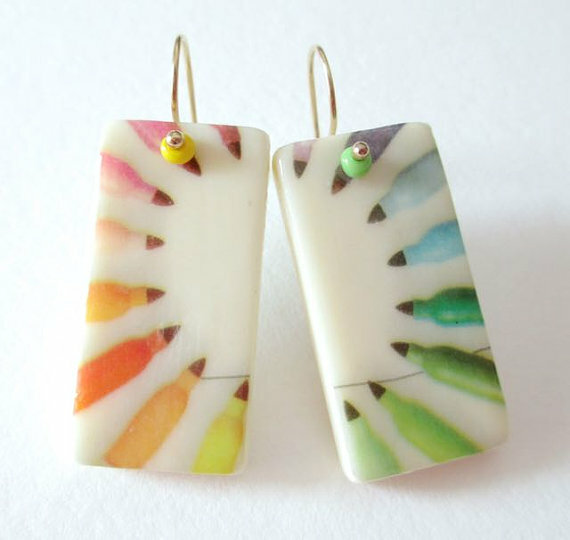 A selection of jewelry that symbolizes color: from paint strokes to color wheels, images of coloring utensils to the actual use of color pencils. 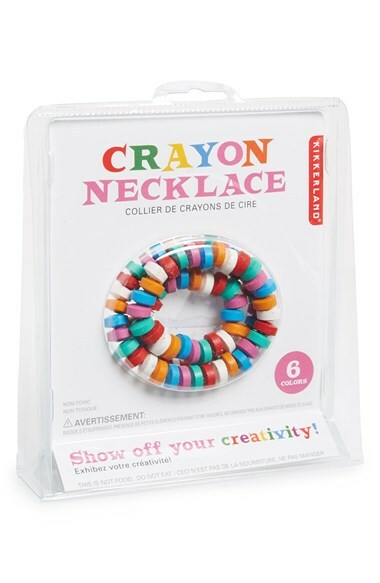 I have even included my favorite crayon necklace (which I am wearing in the photo on the right - it is an actual necklace you can use to color, but I choose to keep pristine in its necklace form). 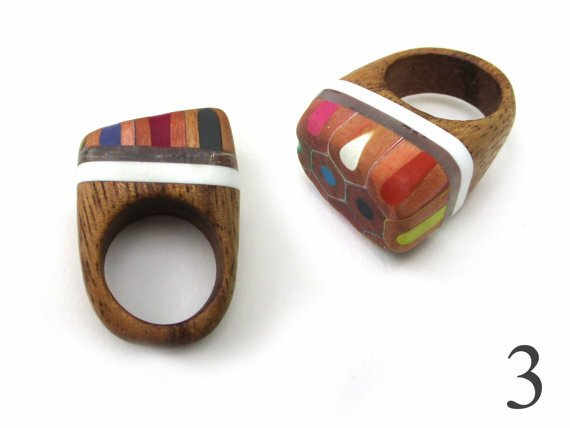 In this collection there are rings, earrings, bangles, and necklaces and a range of materials. 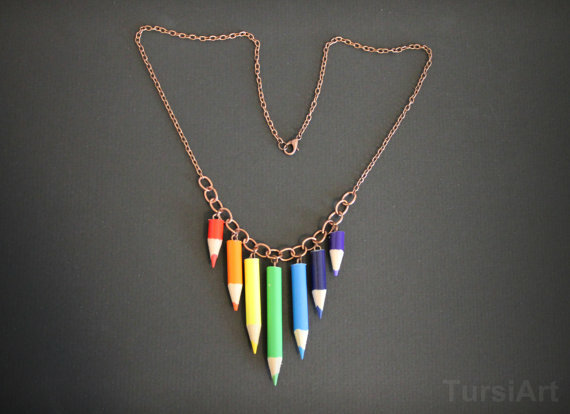 I hope you will be inspired this Spring to embrace a pop of color in a quirky and, let's face it, a little nerdy, way.